Is there such a thing? I've done some searching and I can't find anything. These are just prelim, brainstorm like ideas. What would that look like, and why is it important? A 3d font format would be parametric and allow inputs like bevel, embossing, etc. It could be several layered typefaces that do boolean operations on each other to achieve 3d effects. It obviously doesn't need to be exclusive to text; decorative patterns could be done. Customization of 3d printed products, like jewelery, cups, etc. 3d displays like Magic Leap and Hololens. Any vector type can be converted to 3D by converting to outlines and extruding. So a 3D font would exist only for a tiny niche of users who can use extant fonts in 3D. More complex typographic uses of 3D (See Abott Miller’s Dimensional Typography) are probably an even smaller niche. So I doubt there’s enough money in this—at least at this time—to justify the effort. This can be made in any 3D modelling program that supports working with components—you could basically make a library of shapes (one for each letter), then use scripting (for 3D apps it's Python usually) to make 3D text appear while typing (press "A" and the script takes the "A" shape from the component library). Each component can have pre-applied materials, so the result can be very close to final… just type the 3D text and render. @Jeremy Dooley You could still mention those preliminary, brainstorm-like ideas. I'm interested. It's not hard to imagine three-dimensional letterforms that are not simple extrusions of 2-D shapes. Neon letters, for instance, with its overlapping tubes. TrueType is extensible by design. All you need are the right tables and a rendering engine that can interpret them. I think any 3D font could use fallback 2D version so perhaps that's also a good excuse to make 3D glyphs an extension of TrueType. That way with older applications or 2D printers, the extension is ignored and the regular font is displayed and everybody wins. Even if this font format were 2D, like let's say Postscript with layers of vector and bitmap. That could allow the inclusion of height, normal, occlusion, displacement, specular, color, tiling texture etc. 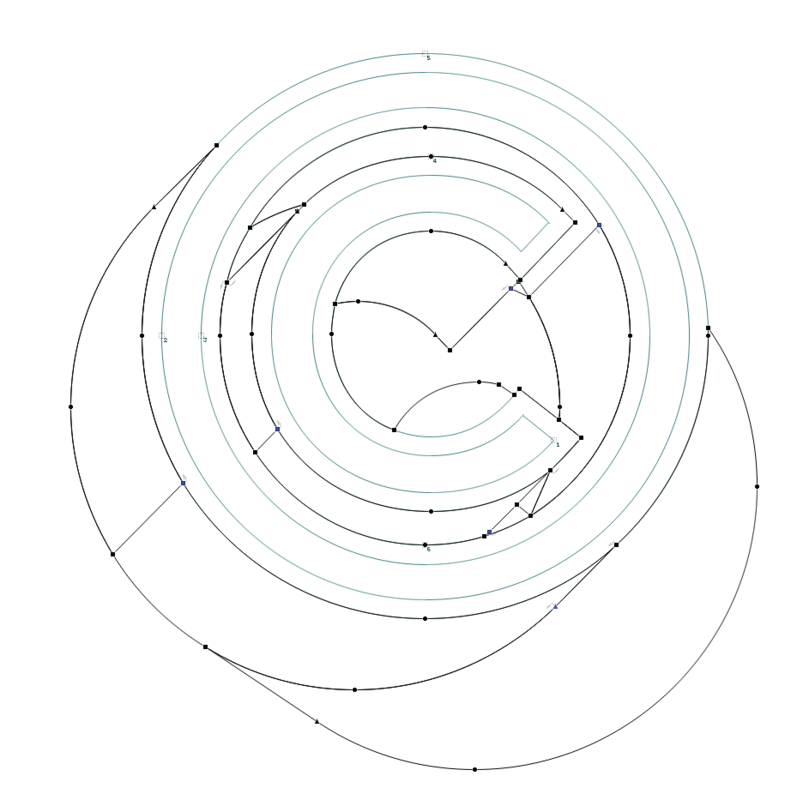 But for actual 3D modeled glyphs, I doubt PS or TT curves would be suitable. 3D PostScript is possible (not sure about TT curves) but I think it would be more sensible to use an existing 3D format with polys, splines and primitives, and more importantly, established 3D modeling software. Imagine struggling with a FontLab 3D font modeling system. Mark: Would a TrueType extension be limited to TrueType curve tech or could any bitmap, polygon, spline format be used? I think the reason we don't have this technology is that it's not needed right this very moment. When VR and AR become commonplace, when phones use the selfie-cam for creating reflective textures and other 3D magic stuff, then it'll be relevant. Which is really soon, I think. I've heard the argument of "just extrude it" but I think that type of thinking reveals a lack of imagination. Walk through a city and you'll see lots of real 3D lettering that you couldn't make with extrusion or special effects. A full 3D model of each glyph probably isn't totally necessary and possibly be too labor intensive for type designers. If you know how modern game engines work, you know you can make complex looking 3D objects by mapping a flat surface with height and displacement maps. It's pretty incredible what game designers can do with textures alone. If you're not familiar with displacement mapping, look into it. If you were to use displacement mapping on a flat letter and look at it on an angle, you would see what looks like a 3D shape, The above examples could all be rendered with displacement mapping on flat glyphs. There is a limit to the viewing angle. You can't look at the letters "edge on" and expect it to look wonderful. But it's hard for these things to get started. We still can't even get grayscale transparency. I think the people who decide of what goes into new font formats only look at how existing font designs can be adapted to it, rather than giving us the tools to create something that's never been done before. TrueType already can have PostScript outlines (i.e., OpenType) and all sorts of other stuff that was not part of the original spec. The problem is not that is to time intensive but that there is no standard that backs it. This would need some effort to bring all the developers of 3D apps to the table to discuss and support this. And that effort has to come from type designers and 3D people who don't know each other and have different ideas about things like this. You're right, Georg. I think that effort will most likely come from some kind of specific corporate necessity. Be it smart watches, phones, Magic Leap, Oculus Rift or the next thing. It's not the kind of development that's going to happen without millions of dollars thrown at it, but we can dream. Has this been considered since this post was made? Any murmurs of this kind of tech happening? I am almost finished with my 3d actions for illustrator. The actions are finished. Just need to get the marketing material finished. These are the same tools I used to make my font Versatile Bold. Versatile has 7 stackable layers. This is a sample showing the shadow on the right. The actions allow the shadow to be either left or right, 7 different cast shadows, outline and inside shadow. It should be finished and available at creative market soon. shoot wrong post. Meant to be in font technology. Oh well please excuse this. Modo has a set of procedural modeling and mesh operations tools which allow this kind of thinking, C4D does too, and Rhino + Grasshopper are used for iterative parametric form-finding in the world of architecture (one of the worlds I inhabit) so in fact tools around this type of thinking are extant and in all cases in further development. It needs a dedicated font designer to think through that, learn a method, and produce some good results, and yes, this will be a real need as AR & VR uses ramp up faster - which indeed they are doing. Let's get (ir)real. What fonts will be in the future is not 3D effects but plain and simple fonts inhabiting a new enviroment, much like the transition from print to digital. The future will most probably be computers the size of eye lenses and people gesticulating in thin air, and everybody getting used to it ( + the usual "we're doomed" memes). We may live to witness a mass migration from digital to 3digital not seen since the 90's. The driving monetary force that will throw millions into this will be the 3digitalisation of the web itself, with websites no longer flat, and everything that follow from such a gigantic venture. Text in some font will be something that can be liked phrase by phrase, attached to a buzzfeed, shared, twisting in animation when the glove hovers near it. Cursors will become extinct in their current form. 1) Whoever catches that wave soon enough will get very rich. 2) drawing fonts will go the way of digital drawing and 3d sculpting, it will all be done in thin air, with gloves or directly with gesture recognition. Font designers and app developers better be prepared. The thing about hand tools is that they all utilize resistance (including friction) of the medium so that the person can use that to precisely and subtly modulate pressure, position and movement. According to your theory, all musicians would be using theremins by now, which is not the case. 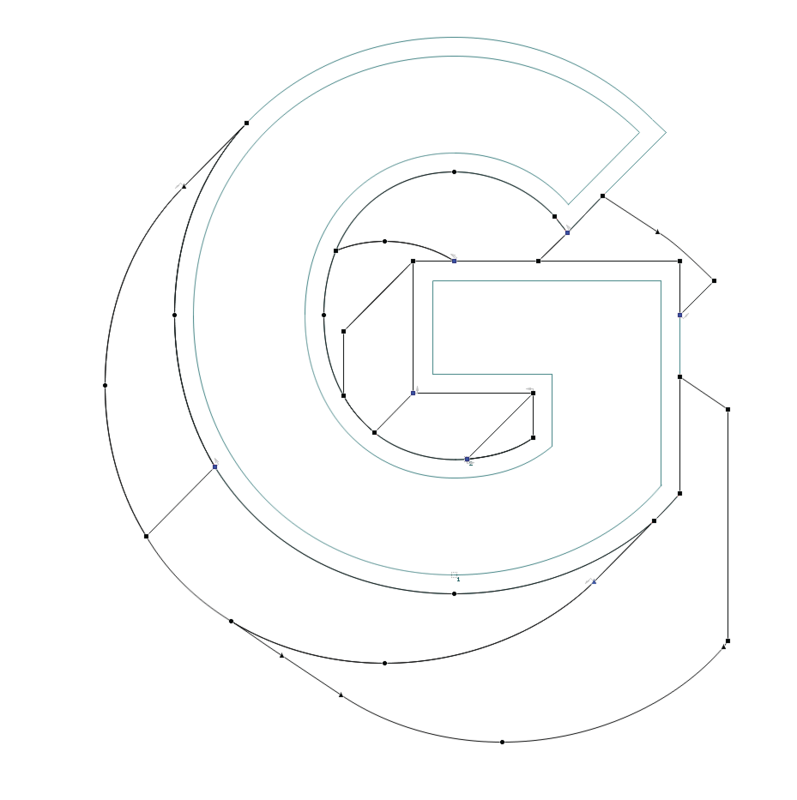 Maybe a 3D font can be represented as a variable font with one variable axis representing the z-coordinate? It's hard to visualize if you think of it as designers floating around like Keanu Reeves with Nintendo Power Gloves but. But think of it in the sense of a craftsperson's worksop in centuries past. Rather that sitting in a chair with a screen and mouse, you've got a hangar where you're testing ideas on huge 3D, cut out letters. You're working out a particularly difficult lowercase g as a clay sculpture. Testing a working typeface on a billboard on a far wall. Emojis tossed into a basket like Pokemon toys. To escape from the confines of the mouse and screen will change the way we work. I'd love to be able to order 1 m high letters and walk around them. I'd love to be able to take a belt sander to letters while I work. But I can't. Well, I can but it would be impractical. But I think the image people have of VR/AR is using clumsy mitts. But if you think about feeling the curves of a sculpture with your fingertips, it makes mouse and screen seem like working with hockey gloves. Or Nintendo Power Gloves. 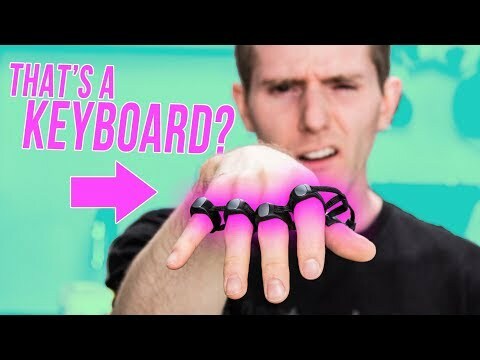 If Andy Clymer reads this he’ll have a VR glove type design tool prototyped by the next Robothon. If you think it sounds too much like sci-fi, in the shorter term, augmented reality could be used to extend your desktop around your office. You could have a second screen a few meters wide to project part of your project. Another screen behind you. Some flat pages on your desk. A drafting table with a screen on it for pulling beziers. That's all overlaid on what would feel like a regular pair of glasses. Nothing too unfamiliar...a series of flat screens. It might even work with applications that currently allow you to extend to multiple monitors. I think it's not too far off. People get the glasses and throw away the monitor, start adding more monitors, exporting 3D options. Nothing new to learn, just more, larger monitors around the room. But I have doubts about designing type in 3D. While Illustration applications will be ahead of the curve, type design applications will likely lag decades behind due to the small number of users and small budgets. But if it's merely extending the desktop, that's OS level...I hope. As for VR? Bah. Wearing VR gear is exhausting. I can't imagine it would make for a pleasant working environment. I'm sweaty enough without a helmet and gloves. Plus I need to be constantly grabbing a coffee cup. VR is good for certain things but not drawing or making typefaces. If AR glasses are truly like a crisp holographic overlay with normal weight glasses, I could work that way all day. And there's no reason you couldn't design in 3D with AR. Maybe better because you can use real world tools. Get right in there with a real pen to adjust points.